Clare Curtis is a specialist small scale breeder of Croad Langshan poultry with limited numbers of birds, chicks and fertile eggs for sale each season. I have kept bantams for many years as a hobby and also go to a lot of shows to see the top birds. I breed a few bantams every year just for interest and sell them at a very good price as I don't want to make much out of them. All our Chickens are carefully bred. They are Pure and Rare breed and only bred from the best stock. We are a hobby breeder dedicated to passing on our knowledge to other hobby keepers. We supply all poultry supplies. We stock a range of coops including the Omlet range. We supply a range of hybrid hens laying a range of egg colours. Our Poultry Boarding service is very popular. Fantastic farm reared hens for sale. Warrens £10 Light Sussex, Blackrocks, Bluebells, Ambers, Marans £16. All reared outside, free range, fully vaccinated. Point of lay. They are lovely, happy and healthy hens. All around 21 weeks old. You're very welcome to come and pick out your own hens from a selection we have at our farm. Ideal for starting out with your own hobby hens, they are easy to care for, friendly to handle, great for a lovely supply of your own free range eggs. Please feel free to call for more information. Based near Warrington, Cheshire. 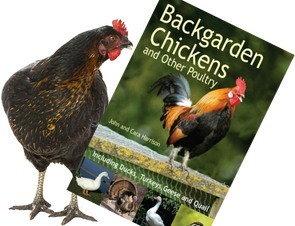 Also Buff Orpington, Sablepoot/booted bantams and Pekin Bantams available. Hi, we are hobby breeders that 1st started off with chickens ourselves 10yrs ago. I made the decision to buy 3 hybrids for my daughter one Easter & the obsession for them grew from there. We have probably owned most different breeds over the years, but a few breeds that won our hearts are the ones that we concentrate on breeding & selling theses days. Hybrids.... you've got to love them! Cheap to buy & are the best for being egg laying machines. Each bird lays on average 300+ eggs per year. Not only that they also have a strong personality, cheeky & will follow you around the garden wanting to be your friend. Lemon Pyle Brahma.... are stunning! Brahma are often described as the gentle giants of the chicken world. They're big, chunky, fluffy birds with feathered feet. Lovely friendly personalities that look like big balls of sunshine with their lemon & white feathers. Japanese Bantam.... These are my mums babies. Small little toy chickens that look so pretty with their standing up tails & short little legs. Will still lay a good amount of eggs each year & quite a decent size for the size of the bird. Lemon Millefleur Sablepoots.... Ornamental with beauitful markings. These are fantastic birds that i always find have big personalities. Again a good sized egg for the bird. They're the kind of bird that always seem to look better with age because as the moult each year, the white tip on each feather becomes more & more prominent. Big fan feathered feet, come only in a bantam size so perfect for those that don't want a large size bird. We also supply hatching eggs from our breeding stock & at times chicks are also available. We raise commercial hybrid chickens, that lay approx 300 eggs in their first laying year. Now you can have beauty and egg quantity all rolled into one. Breeds: Commercial quality hybrids, Cochin, Faverolles, Araucana, Coronation Sussex, Swedish Flower Hens, Orpington, Black Rocks. We also supply day old chicks and hatching eggs.